First thoughts, a 1.0 engine in a car larger than a supermini; bet that’s totally underpowered. However the answer is it’s absolutely not! The 1.0-litre engine uses turbocharging to produce 113bhp, and is a peppy performer despite its small size, taking 9.8 seconds to propel the Leon from 0-62mph. We also found it incredibly hard to stall and easy to manoeuvre as the throttle blips whenever you lift the clutch. The stop/start system is seamless too and can easily be over-ridden if desired. Petrol heads will know that there has been a rapid rise in the number of 3 cylinder petrol engines in the past few years (think Peugeot/Citroen/Ford/Nissan/Suzuki/Toyota just for starters) and this VAG group engine is cracking. Over the course of a few weeks of mixed driving including plenty of urban stop start we averaged 43.3mpg. For instructors who may do more A road tuition then this will only increase. 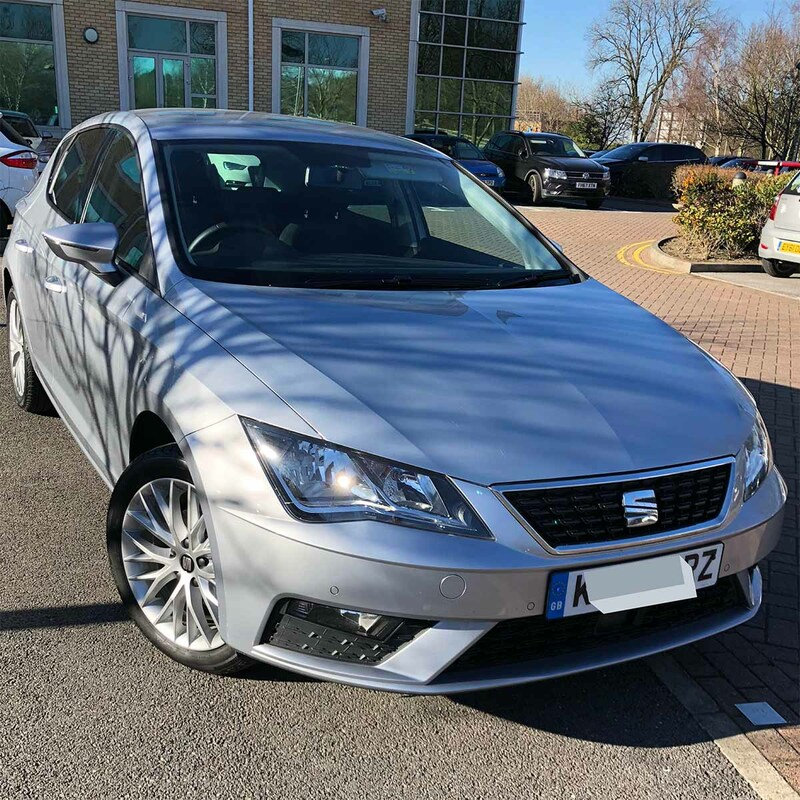 Other aspects of living with the SEAT Leon can be easily summed up in one sentence; it’s extremely difficult to fault and extremely easy to live with. There’s plenty of head and legroom – remember this is a class size up from the Ibiza but isn’t really that much larger on the road. It’s still compact enough to manoeuvre and park and this model has radar assistance and cruise control as standard too. All round vision is strong and there are no awkward blind spots to live with. Even the A pillars are compact. Inside, the dashboard is noticeably better quality than in the old model, with a feeling of quality to almost match the Volkswagen Golf, and a classier feel than many rivals. As many more cars are now coming with electronic handbrakes it was pleasing to see that this one is extremely easy to use and works efficiently. Some instructors have been wary of these in the past but as more cars are coming with these as standard then it’s important that pupils can use them. They’re certainly easier and more foolproof than a standard handbrake! If you really do want a smart, five-door family hatch but don’t want to pay through the nose, the Leon 1.0 TSI makes a strong case for itself. Take a look at our offers on the Leon, if you wanted slightly more poke then we can also offer the 1.5 EVO petrol engine which has an extra 15bhp.